Somewhere between the Thai border and Sihanoukville, Cambodia. Rainy weather and unpaved roads delayed our 8 hour van-ride to over 12 hours. Rivers en-route are crossed on the backs of these twin diesel engine driven makeshift monstrosities, complete with drawbridge. 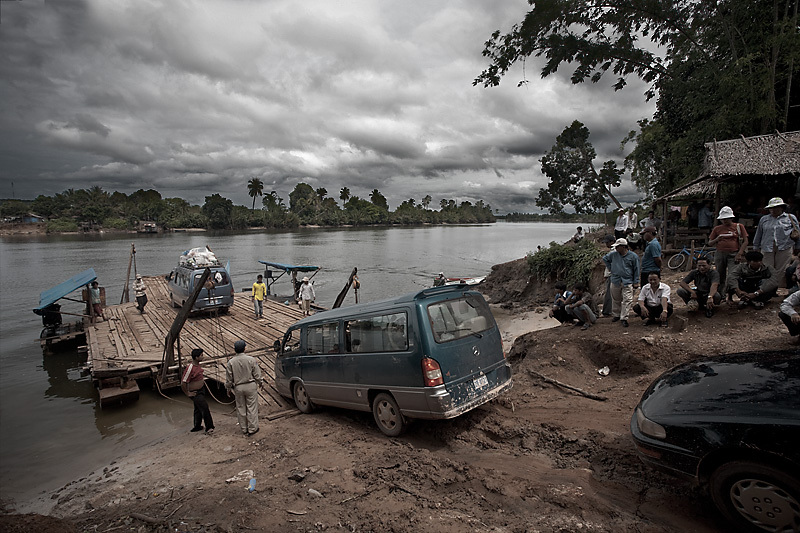 The ferries function, albeit slowly but the problem was the inability of automobiles to climb up and down these steep, slippery ramps of mud. It's all part of a day's journey for a backpacker, especially one who cares to experience the day to day life of the average Cambodian.